Welcome to our store, and sincerely hope you can have a good shopping. Material: Made of velvet fabric, sponge, plastic and nylon tape. Lightweight, Comfortable breathable materials with maximum padding feel smooth against your foot. 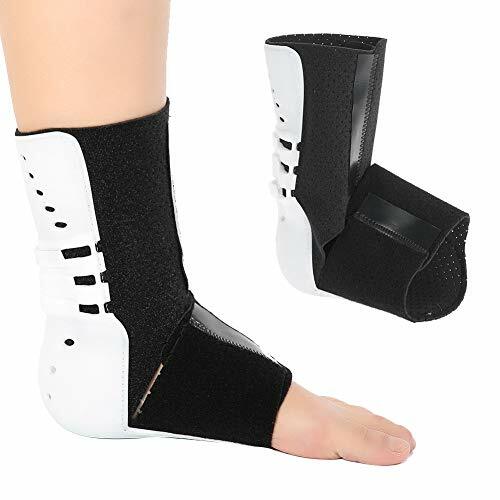 Universal size: One size fits most adults, adjustable easily, both OK for right and left feet. For the maximum ankle circumference: 13.3 inches. Adjustable Tightness: Our foot brace has contact buckles and velcro closures make it easy to adjust as needed. 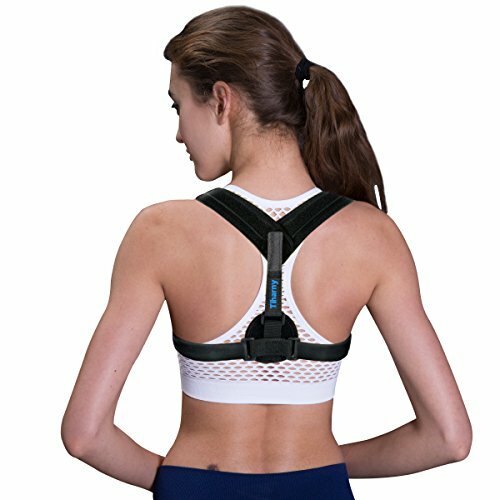 After putting on the shoes, you also can adjust the position and tightness of the adjustment belt. No need to take off your shoes, easy to adjust. Pain Reliever: Protects against Stroke foot drop, Plantar fasciitis, Achilles tendonitis, Muscular dystrophy, Neuromuscular weakness ,etc. Provides visible improvement in gait that offers support for drop foot or similar complaints. Open heel design: Open heel design allows wide range of motion during activity and still provide support for the ankle tendons and joints. Quality: Our high quality fabric will also withstand washing and will not lose its function over the course of time like many other products! 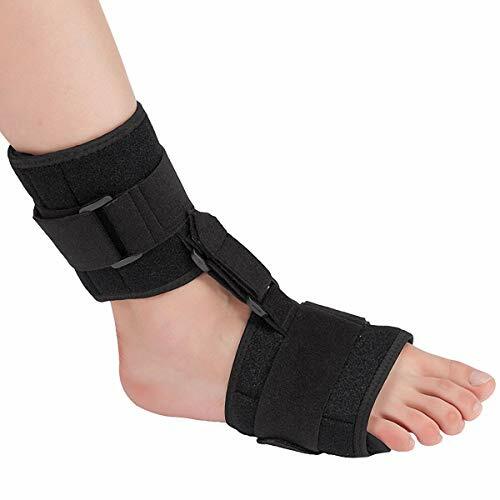 High Quality Material: Our foot support brace is made from light weight velvet fabric, sponge, plastic and nylon tape, boosts localized blood circulation and provides soothing warmth. Comfortable breathable materials allow you to sleep comfortably throughout the night and wake up in the morning feeling refreshed and free of plantar fasciitis pain. Functional Protection: Protects against Stroke foot drop, Plantar fasciitis, Achilles tendonitis, Muscular dystrophy, Neuromuscular weakness ,etc. Provides visible improvement in gait that offers support for drop foot or similar complaints. 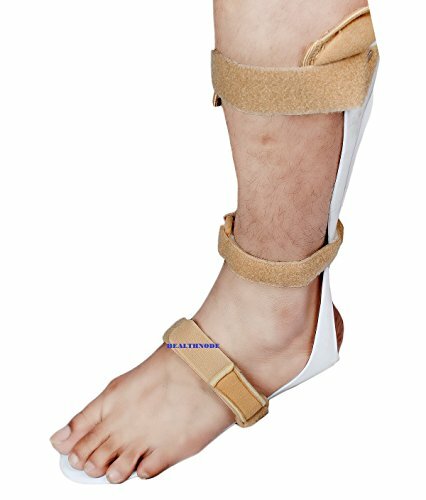 Adjustable Brace Design: Our foot brace has contact buckles and velcro closures make it easy to adjust as needed. After putting on the shoes, you also can adjust the position and tightness of the adjustment belt. No need to take off your shoes, easy to adjust. Convenient To Wear: Open heel design for enhanced breathability. Allow brace to be worn with a laced shoe, slip-on shoe, sandal, or barefoot. It can be used in the day time, very thoughtful. One Size Fit All: Our drop foot support brace is suitable for men and women adults, fit for different size foot and adjustable for Right or Left foot. For the maximum ankle circumference: 13.3 inches.